Since January 2014 we have acses to this page. We don't have acses to Sunrider-cycles.com. Sorry for the unconviniance. The photo's are from the olf model. The langques are ready, but not without failer. 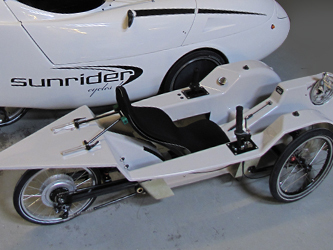 The Sunrider is a velomobile: a single seated, covered recumbent tricycle. Best it is used together with a electric pedal asist. The lightweight body provides high protection and comfort for all those wet and windy days. Because of the excellent aerodynamics of this spectacular vehicle you often ride faster than normal (race) bikes. 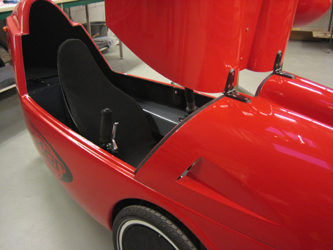 Driving a velomobile is a unique experience, after one ride in a velomobile you won´t go back! The Sunrider has a very nice and sleek finished interior. 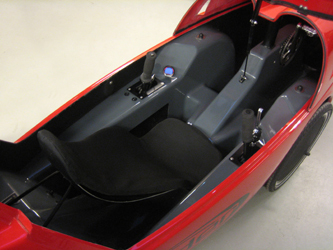 The adjustable bucket seat will provide sufficient support and a very pleasant and comfortable ride. The chain is almost completely embodied in the frame, so no more dirty pants! 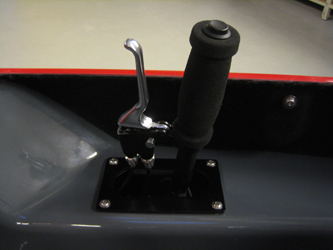 The very simple joystick operation in the Sunrider makes it a very nice and tight steering velomobile. 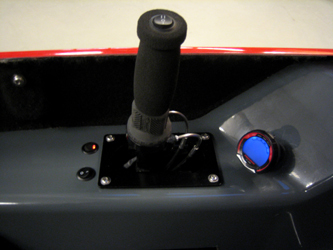 Control elements such as gears, brakes and a parkingbrake, lights, horn and indicator lights are always within reach and easy to operate. 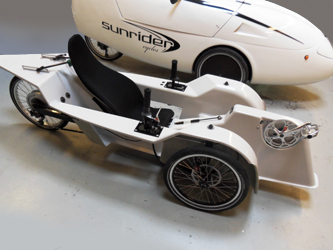 The Sunrider is a fully self-supporting frame of fiberglass reinforced polyester. This frame constitutes a large portion of the interior Sunrider. The balanced composite construction is virtually maintenance free and provides excellent stability for the vehicle. Safety and comfort of the Sunrider was our main objective. 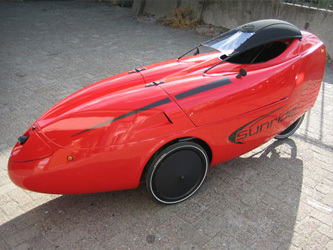 The dimensions of the Sunrider were chosen to be well visible in heavy traffic, while his limited width allowes it to be ridden also on the cycling lanes. The Sunrider comes standard with full suspension and two powerful 90 mm drumbrakes at the front wheels. For good visibility, the Sunrider has front and rear lights. Side mirrors give the rider has a clear view all around. 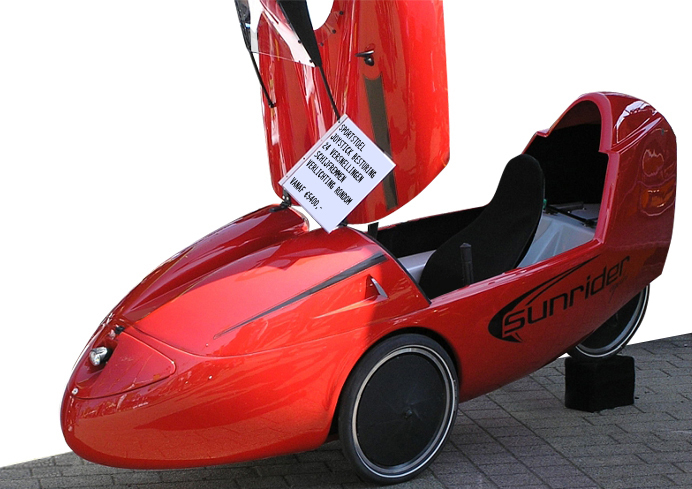 The law sees a velomobile as a bicycle. The same laws apply for the Sunrider as for any other bike. 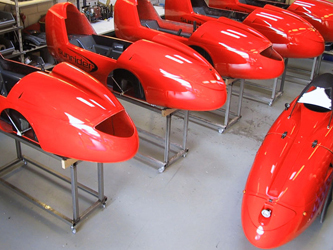 Velomobile riders can simply use the bicycle path or bicycle / moped lane.